A high proportion of crimes committed in Britain are drugs-related, with many offenders reporting drug use prior to the commission of their offence. However, the direct link between drug taking and crime is often less clear than is supposed if only because many of those offenders would have committed offences anyway, and these offences need to be separated from those that are directly caused by drugs. Attempts to address many of these and related issues have been bedevilled by misunderstanding and a lack of consensus on the nature of the relationship between drugs and crime. This book is a major contribution to this debate, and provides an authoritative and much-needed overview of the range of issues associated with drugs-related crime. The author pays particular attention to policing drugs and drug markets and the way they operate, so that a central theme of the book is the importance of reducing supply at local, national and international levels. 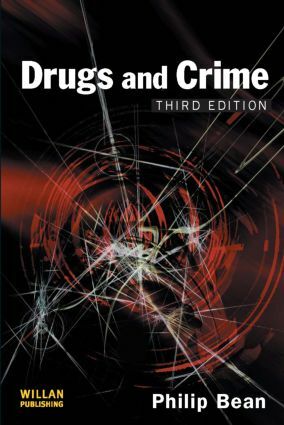 Accordingly there are chapters on the drugs-crime link, sentencing drug offenders, policing drug offenders including the use of informers, coercive treatment, trafficking and laundering, and on gender issues, including the treatment of women drug users. This updated and expanded new edition builds upon the strengths earlier editions of the book. It has been updated throughout, includes new information on police tactics such as 'stop and search' and 'test purchase', and has an entirely new chapter on the legalisation debate.